Debian UEFI Secure Boot changes! The effect of these changes is that the next daily and weekly debian installer images (tomorrow) should Just Work (TM) end-to-end with UEFI Secure Boot. The changes to efi-image also mean that our next live image builds will do SB (for live and installation). I’ll test all these again in the next couple of days to verify that things have pulled through as I expect, then it’s time to post to d-d-a and write a blog too. We’ve made great progress already. These last changes just tie it all together for end users. W. Martin Borgert posted a message to the Debian kernel/ARM lists, about soliciting kernel dev help for a Debian-based gaming console, successor to OpenPandora. I just read this post by Pyra project leader Michael Mrozek a.k.a. “Evil Dragon”. 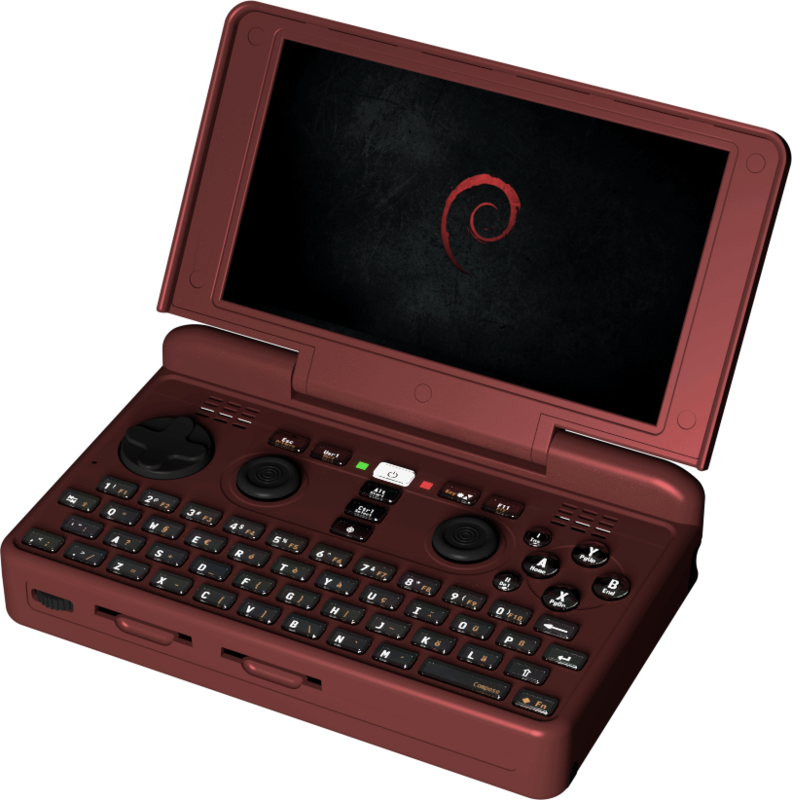 (Pyra is planned to be a Debian based gaming console, successor of OpenPandora.) They need help by kernel devs and folks who know OMAP etc. Maybe somebody here can help them? There even might be some money in it. No doubt about fame and fun, though! seL, in addition to Intel and ARM, now supports RISC-V! Lighting Talk: Integration between GitLab and Fuego, Tomohito Esaki, IGEL Co., Ltd.
Matthieu Caneill of Debian announced Debsources. Excerpt of announcement below, for full announcement, see the debian-devel-announce mailing list archives. For more info, read the thread on the debian-derivatives@lists.debian.org mailing list. There aren’t many CHIPSEC-based codebases, Hardened Linux is one relatively new one. Excerpts of announcement included below. For full announcement, see the debian-announce mailing list archives. After 26 months of development the Debian project is proud to present its new stable version 9 (code name “Stretch”), which will be supported for the next 5 years thanks to the combined work of the Debian Security team and of the Debian Long Term Support team. Debian 9 is dedicated to the project’s founder Ian Murdock, who passed away on 28 December 2015. The UEFI (“Unified Extensible Firmware Interface”) support first introduced in “Wheezy” continues to be greatly improved in “Stretch”, and also supports installing on 32-bit UEFI firmware with a 64-bit kernel. The Debian live images now include support for UEFI booting as a new feature, too. A total of ten architectures are supported: 64-bit PC / Intel EM64T / x86-64 (amd64), 32-bit PC / Intel IA-32 (i386), 64-bit little-endian Motorola/IBM PowerPC (ppc64el), 64-bit IBM S/390 (s390x), for ARM, armel and armhf for older and more recent 32-bit hardware, plus arm64 for the 64-bit “AArch64” architecture, and for MIPS, in addition to the two 32-bit mips (big-endian) and mipsel (little-endian), there is a new mips64el architecture for 64-bit little-endian hardware. Support for 32- bit Motorola/IBM PowerPC (powerpc) has been removed in “Stretch”. OEMs: the Debian project is asking for your help. I want to send a BoF proposal to DebConf17 so we can meet there and discuss about secure boot. I would like to know if you are interested in attending and also which topics you suggest for discussion. I would appreciate if you could put your name and suggestions in this form in case you are interested https://goo.gl/forms/lHoEibY1H6FmSHSJ2 , or just reply to this email thread. For full message, see the debian-efi mailing list archives. See Steve’s message to the above-listed lists for the full post. From the latest “Bits from the Release Team” message, it appears that Debian 9 will probably defer Secure Boot support to later. At a recent team meeting, we decided that support for Secure Boot in the forthcoming Debian 9 “stretch” would no longer be a blocker to release. The likely, although not certain outcome is that stretch will not have Secure Boot support. We appreciate that this will be a disappointment to many users and developers. However, we need to balance that with the limited time available for the volunteer teams working on this feature, and the risk of bugs being introduced through rushed development. It’s possible that Secure Boot support could be introduced at some point in stretch’s lifetime. (*) Fake Microsoft Windows UEFI. Adrian has a thread on the debian-efi list, asking for feedback on these features. Excerpt of announcement below, see the full announcement on the debian-efi list. ALT Linux Rescue also has the option to boot either into their Linux or into their provided UEFI Shell. I wish more Linux distirbutions provided features like this. This package provides a minimalist boot loader which allows verifying signatures of other UEFI binaries against either the Secure Boot DB/DBX or against a built-in signature database. Its purpose is to allow a small, infrequently-changing binary to be signed by the UEFI CA, while allowing an OS distributor to revision their main bootloader independently of the CA. This package contains the version of the bootloader binary signed by the Microsoft UEFI CA.